UPDATED: Thu., Feb. 9, 2017, 2:59 p.m.
BOISE, Idaho – An Idaho House panel has approved new K-12 science standards, but only after striking key references to climate change caused by human behavior. This is the third year the Idaho Legislature has struggled to agree on science standards for public schools. Previous efforts that included references to global warming and the origin of the universe have been rejected by Republicans unhappy that the language didn’t offer alternative views. The last time Idaho’s science standards were updated was in 2001 – sparking criticism from educators that the current system is too vague and lacks depth. The version approved Thursday had originally included the need to reduce and monitor human impacts on climate change. For example, the standards would require teachers to ask students questions on the causes of rising global temperatures over the past century with an emphasis on the major role of human activity. It was also required students understanding that human activity can disrupt ecosystems and threaten certain species. However, Republicans on the House Education Committee amended the rules on Thursday to remove those sections before approving them. The committee’s Democratic members opposed. Science teachers, state officials and other stakeholders have spent years drafting various versions of the rules. After lawmakers rejected the standards in 2016, the working group announced that they wouldn’t introduce a new version until 2018. That changed suddenly when the State Board of Education approved the rules in December. However, the rules presented Thursday have a one-year expiration date. Lawmakers will once again have to approve the rules next year. 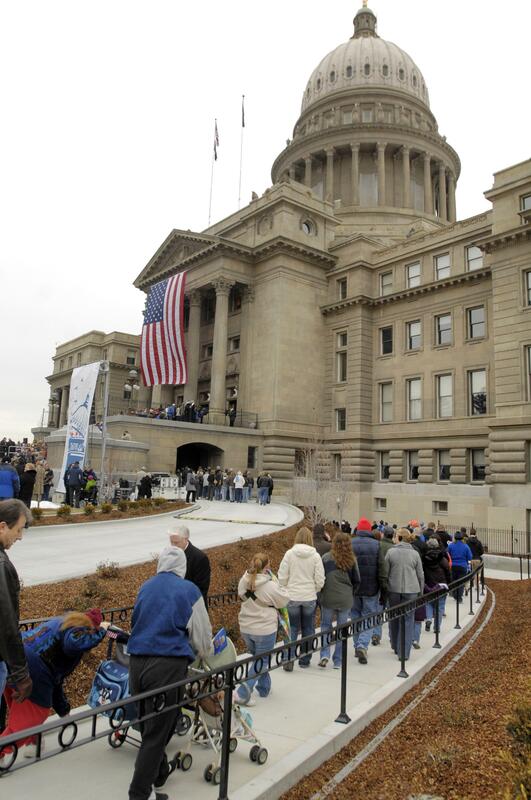 In Idaho, legislative rules are presented to the Legislature starting in January. They carry the same force as law because they are drafted to implement state statutes. Superintendent of Public Instruction Sherri Ybarra, who urged the committee to approve the bills even with the amendments, said her staff would be adding lawmakers’ concerns while they redraft the rejected sections over the summer and would be sure to include the lawmakers’ input. Meanwhile, House Assistant Minority Leader Ilana Rubel, of Boise, blasted the committee’s decision for suppressing facts. The minority leader has recently been denied a chance to introduce legislation that would create a legislative committee to study the effects of climate change in Idaho. “Not only do we owe it to our children to teach them 21st Century science, but we owe it to the farmers, foresters and citizens of Idaho to take this issue seriously and not bury our heads in the sand,” she said in a prepared statement. Published: Feb. 9, 2017, 10:58 a.m. Updated: Feb. 9, 2017, 2:59 p.m.